We invite everyone to Sverdlovsk region Volleyball Universiade among women's teams. This year, the strongest sportswomen of the Sverdlovsk region will compete for the trophies of the Universiade-2018. The semifinal of the Universiade will take place at USUE sports complex on April 3 at 17:00. The final of the event will be held on April 5 at 17:00. The USUE volleyball women's team is a two-time winner of the Summer Universiade 2012 and 2014, a two-time silver medalist of the All-Russia Universiade in 2010 and 2016, a four-time winner of the Ural Federal District Championship, and a permanent winner of the Universiade of the Sverdlovsk region since 2011. The best female athletes for the last 10 years in the USUE team - Victoria Chaplina, Maria Beloborodova, and Irina Zaryazhko - became European Champions and the winners of the World Universiades being the members of the national team. 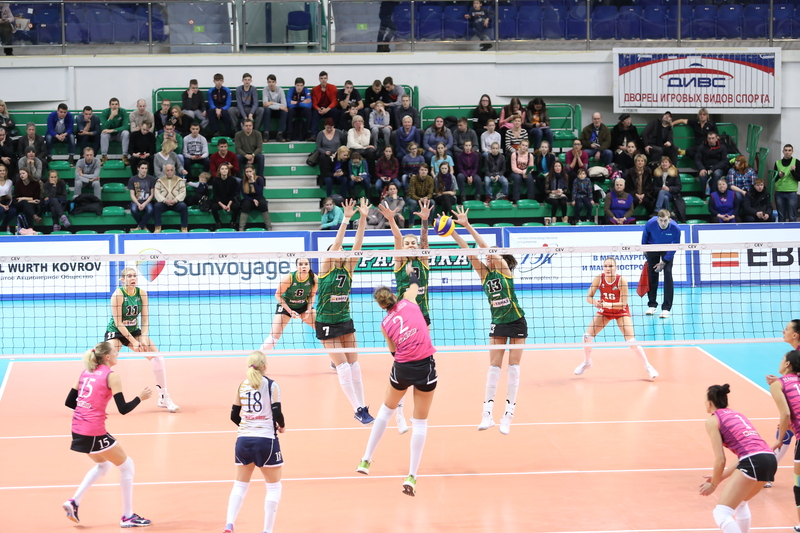 We invite everyone to Sverdlovsk region Volleyball Universiade among women's teams. This year, the strongest sportswomen of the Sverdlovsk region will compete for the trophies of the Universiade-2018.